Welcome New Client Krystal Wade! We are so very pleased to welcome Young Adult Author, Krystal Wade to the Barclay Publicity family. We'll be working with Krystal on an ongoing basis to help her promote various works in her portfolio. We're looking forward to introducing new readers to her hugely popular Darkness Falls series. The series is currently getting re-branded so keep an eye out for cover reveals and a social media blitz coming in February! And that's not all, the Darkness Falls books will be releasing soon on audiobook. Then, on March 3rd, SHATTERED SECRETS hits bookshelves everywhere! SHATTERED SECRETS is a new Young Adult title published by Curiosity Quills Press. Krystal will be on tour and will sign books in the Darkness Falls series as well as SHATTERED SECRETS. Tour stops include: The Riverdale Literacy Festival in Florida and numerous bookstores throughout the region. Tour dates will be posted soon. Krystal is represented by Nicole Resciniti of the Seymour Agency. After being kidnapped, hogtied, and stuffed in the trunk of a car, seventeen-year-old Abigail Nichols' boy problems seem nonexistent. Magical beings who guide human emotions are fighting an invisible war dating back to the dawn of time, and Abigail's one of them. The more she learns of her heritage, the less she wants to know. Armed with a very old, very massive book to teach them about their history, Abigail and Derick run away to Florida, a place where they think they can be safe and happy, only to have their troubles secretly hitch a ride. Available in e-Book & Print: Amazon - B&N - Kobo -Trailer -Watch me read the Prologue to Wilde's Fire on YouTube! Those two words spark fear in Katriona Wilde and give way to an unlikely partnership with Perth, the man she’s been traded to marry for a favor. Saving her true love and protector Arland, her family, and their soldiers keeps her motivated, but the at-odds duo soon realizes trust is something that comes and goes with each breath of Encardia’s rotting, stagnant air. The moment when concern for her missing sister spirals out of control, all thoughts of trust are pushed aside and she finds herself trapped by the daemon tricks Perth warned her of. However, rescuing those she loves is only half the problem. Kate still must get to Willow Falls, unite her clashing people, and form an army prepared to fight in order to defeat Darkness. When so many she’s grown fond of die along the journey, her ability to play by the gods’ rules is tested. How will she make allies when the world appears stacked against her? And will she still be Katriona Wilde, the girl with fire? Happy endings are hard to find, and even though Katriona is in the middle of a war with someone who's already stolen more than she can replace, she aches for a positive future with her Draíochtans. 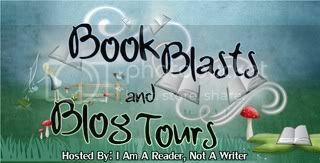 Follow the blog tour for ONE NIGHT IN HEATED SNAPSHOTS! Follow the blog tour for ONE NIGHT IN HEATED SNAPSHOTS, PART 1 to win a gift card of your choice from either Amazon or Barnes & Noble. Want to learn more about ONE NIGHT IN HEATED SNAPSHOTS, PART 1? Be sure to check out our exclusive interview with Ashely C. Harris!